For the second time in as many years, the local and national news (http://www.myfoxtampabay.com/story/24059298/2013/11/25/black-friday-shoppers-already-camped-out) have highlighted “Black Friday” shoppers who are already camped out in parking lots awaiting for all the bargains merchants are offering. While I am certainly NOT against sales, saving money, purchasing things you need or even desire, I wonder a couple of things. First, what message does this send our families and children? Thanksgiving is traditionally a special day set aside (and in addition to all the other 364 days we give thanks) for families to come together, share a meal and count the blessings God gives us. While I suppose that can be done in a pop-up tent in a parking lot, is the specialness of that time dismissed by rushing the security guard who opens the door? Trampling the lady who steps in front of you? Pouting and cussing the clerk if they sell out of the $200 56 inch flat screen television before you get one? Are we giving God thanks while loading the cart? 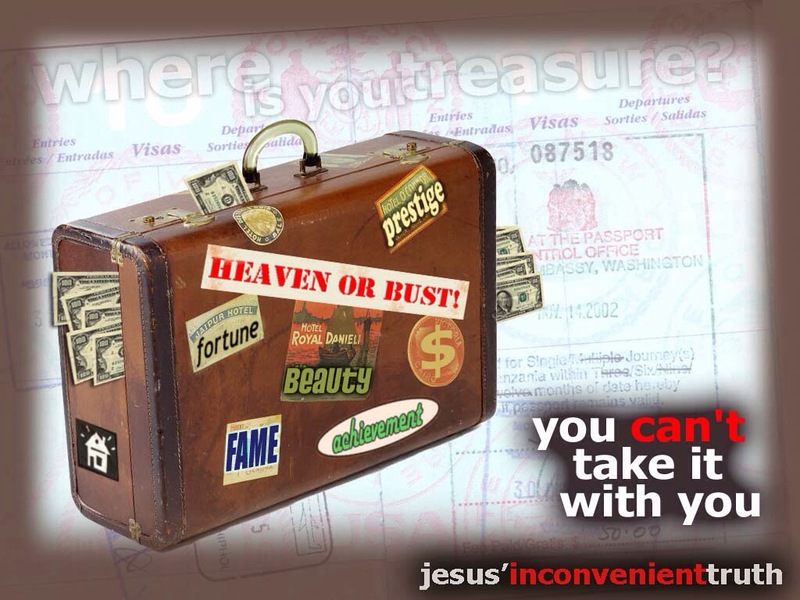 Are we going into debt trying to lay up our treasures on earth? Second and more importantly, how does God feel about this? Again, while there is no sin in getting a bargain (we need to be good stewards), are we putting material gain over family time? In 5 years, Lord will, is getting the Wii more important than sitting around the table and recanting stories from when Junebug and Haskell were little? Is there any value left in building relationships, friendships or just enjoying company of other people? What about just thanking God for life, health, strength, food and whatever He gives us richly to enjoy? When I was a child, my siblings were just content to stuff ourselves and take a nap! Bottom line: Yes, I realize this is America and we can choose to celebrate holidays anyway we choose. If we think about it, every holiday that comes around is focused on the deal of the day, rather than God or even a family aspect, which God created. And if we are not careful, we can get sucked in to believing that happiness is just a purchase away. What we value the most in our hearts comes out of our mouths and actions. As the coming of Christ comes closer, my prayer is that The Lord will be reflected in our speech and actions over the upcoming holidays and all year round! God bless you and your family this Thanksgiving and always!